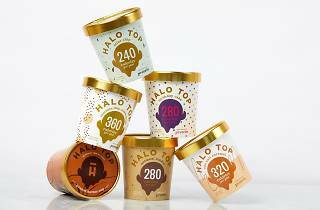 The cult ice cream sensation is bringing its low-calorie, high-protein pints to cones, cups and a mall near you. 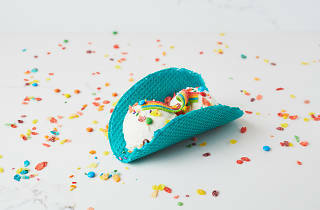 The first ever Halo Top Scoop Shop, located in the Westfield Topanga mall, is just as colorful as those hallowed pints' packaging: bright blue ice cream tacos; gold sugar cones; and a rainbow of toppings will be available to accessorize your scoops and... wait for it... Halo Top frozen yogurt. 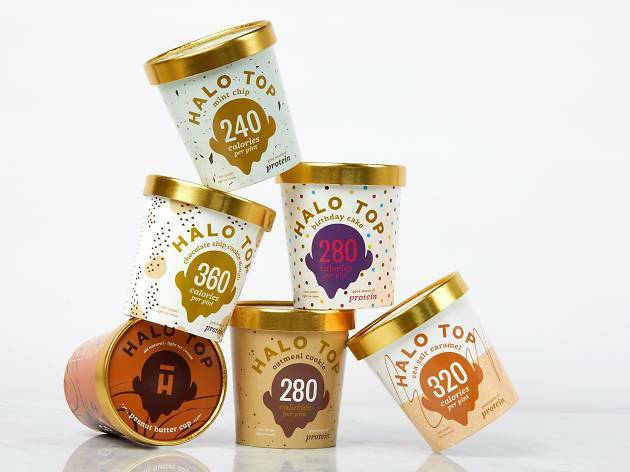 Fans of the eat-at-home Halo Top can find that too. Stop by and enjoy some in the moment, then take a pint home for later. When ice cream is this "healthy," we don't see much wrong with this game plan.